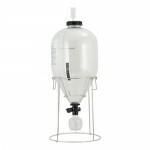 The Fermentasaurus is the world’s first conical PET fermenter that is pressurizable up to 2.4 Bar wo.. If you are looking to pressurize your new Fermentasaurus then this kit is a must! This kit replaces .. The only fermenter in its class Made in the USA. 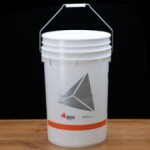 With an industry leading 5.9" wide mouth, the..
3 gallon size - perfect for primary or secondary ferments. 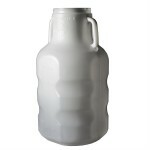 FerMonster Wide Mouth Plastic Carbo..
6 gallon size - perfect for primary or secondary ferments. 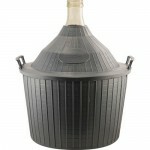 FerMonster Wide Mouth Plastic Carbo..
7 gallon size - perfect for primary ferments. 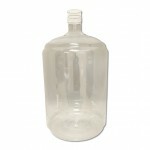 FerMonster Wide Mouth Plastic Carboys feature: .. Perfect for 1 gallon batches. 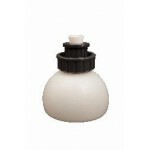 Includes a soft seal lid for easy sealing and removal. Lid comes dr.. 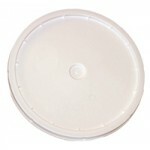 Replacement Lid for the 2 Gallon Fermenter Bucket. Available Drilled or Solid. 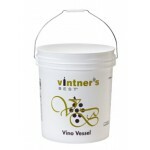 ..
6.5 - gallon white, food grade bucket with bail handle, for fermenting beer or wine. This 6.5-.. 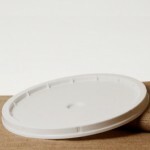 Replacement Lid for the 6.5 gallon plastic fermenter. 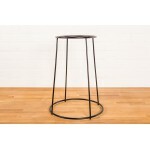 Available Drilled or Solid. 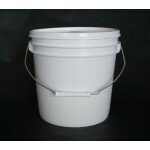 ..
Food grade bucket with bail handle, for fermenting beer or wine. Printed with attractive artwork and.. 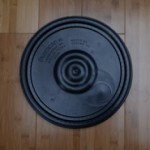 Replacement Lid for the 7.9 gallon plastic fermenter. Available Drilled or Solid. 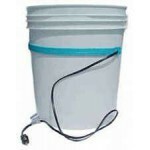 ..
7.9 Gallon FastFerment Conical Fermenter Faster The FastFerment System is a one-stag.. Spare Collection Ball for the FastFerment system. 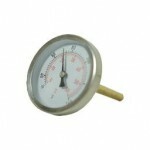 Collection balls are used to collect and har..
Thermometer fits into thermowell of the FastFerment to monitor temperature. 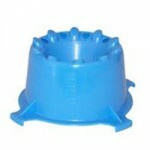 ..
Used to place FastFerment on the floor or table as an alternative to the wall mount. 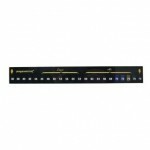 This item is th..
FastFerment Sampling Port - Now Available by popular demand! 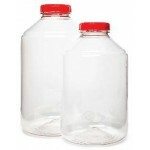 Allows for handy sediment free sa..
10 gallon Capacity, Plastic Primary Fermenter with Lid Use as Primary fermenter for fresh fr..
20 gallon Capacity, Plastic Primary Fermenter with Lid Use as Primary fermenter for fresh fr..
3 gallon, new, clear glass carboy. 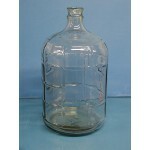 Perfect for storing wine or beer in secondary with a narrow ne..
5 gallon, new, Clear Glass Carboy. 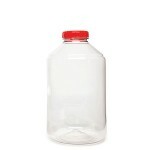 Glass carboy is the perfect size for secondary fermentati..
6 gallon Clear Glass Carboy. 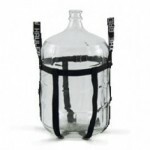 Imported from Italy, perfect for storing wine or beer in second..
6 1/2 gallon Clear Glass Carboy Perfect for storing wine or beer in secondary with a na..
9 Gallon (34 Liter) Glass vessel, perfect for fermentation or storage, classic teardrop shape. 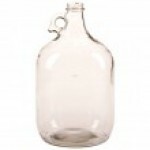 ..
14 Gallon (54 Liter) Glass vessel, perfect for fermentation or storage, classic teardrop shape. .. 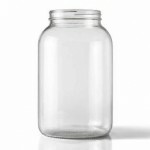 Unique PET plastic carboy that won't leave tastes or odors, is impermeable to air, amazingly light y..
One gallon jar with a nice wide mouth opening. Perfect for small batch ferments, food fermenta.. 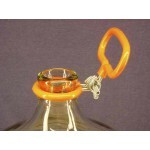 These handled bottles are great for carrying a half gallon of your wine or already carbonated k.. 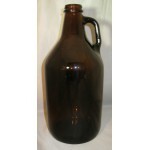 These handled bottles are great for carrying a half gallon of your wine or already carbonated ..
1/4 gallon (32 oz) Amber Glass Jug. 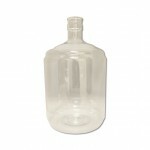 Takes a 38mm Screw Cap (not included) #6 stopper and ..
One Gallon Clear Glass Jug. Has a molded glass handle. 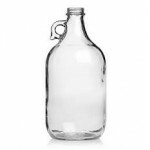 Takes a 38 mm Screw Cap or a #6 S..
Carboy Handle made of rubber-coated steel. 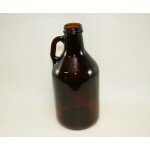 These fit around the neck of glass carboys,Important..
Carboy Handle made of rubber-coated steel. 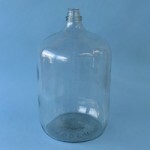 These fit around the neck of glass carboys,Important to h.. 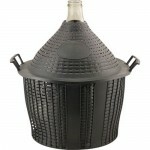 Brew Hauler is a basket made of strong nylon strapping with handles and a buckle for carrying glass .. 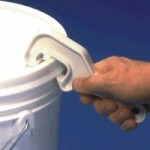 The Brew Belt is designed to wrap around most primary and secondary plastic fermenters. Heats at a c..
Save your hands! 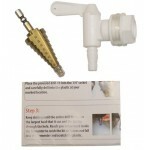 Use this very handy tool to easily pry up those tight fitting plastic fermenter lid.. Liquid crystal thermometer strip that sticks to the outside of a glass carboy, plastic fermenter or ..